The A970 just comes to a dead stop here at Isbister. Looking south, for the first ten or a dozen miles it is "single track with passing places", but there is so little traffic that it is hardly a problem. After that, and all the way to Sumburgh HU4009, 80km away, it is a splendid road, upgraded (like other main routes in the Shetland Islands) when the oil money was at its peak. It is, of course, possible to walk further north for nearly 5 kilometres, to the Point of Fethaland (though I did not have time to do this). 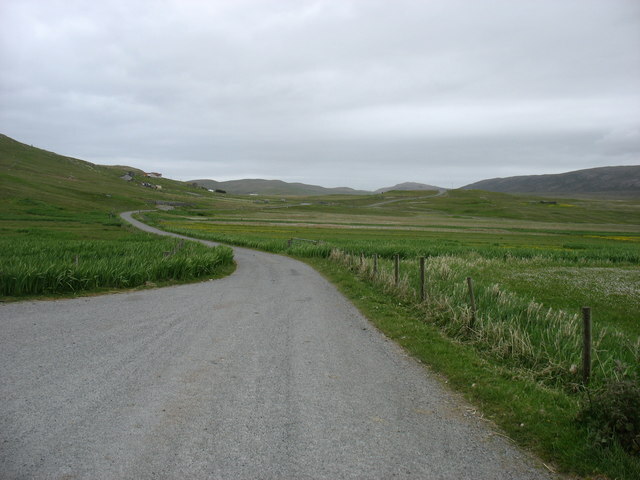 Only two inhabited islands, Yell and Unst, get even further north and into Myriad HP.